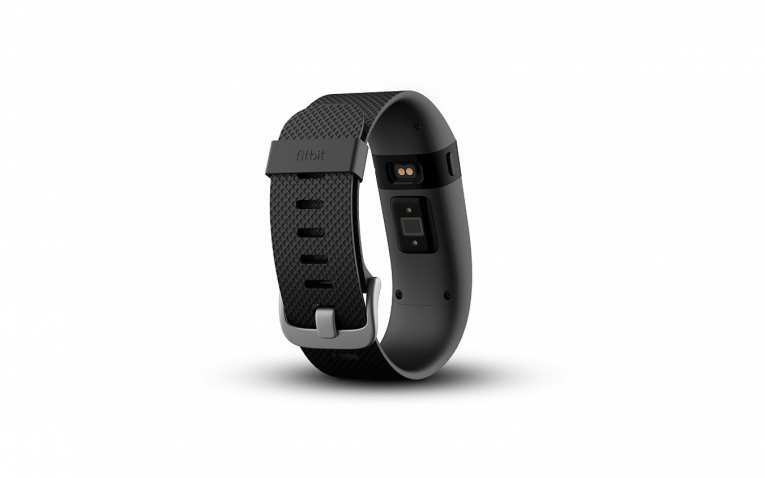 The Fitbit Charge HR is a superpowered tracker that offers continuous heart rate monitoring for better estimation of your daily activity, workouts and sleep. 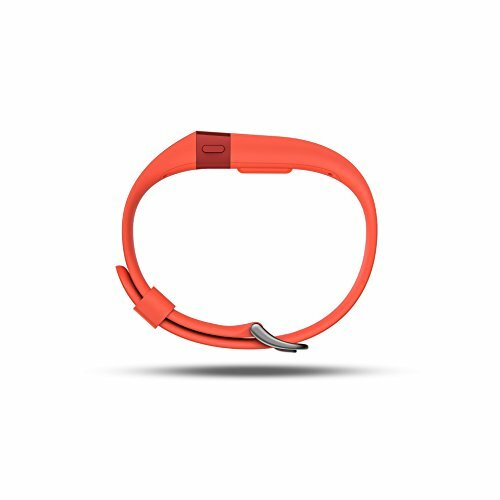 But does the Fitbit Charge HR live up to rivals, such as Fitbit’s own Surge, and what kind of bar does it set for the long awaited Jawbone UP3? We put it through its paces to find out. The overall look of the Charge HR is impressively sleek and it blends in with pretty much any outfit, be it in the office or on the weekend. It’s discreet and the textured rubber looks smart, and dare we say it, fairly unisex. The Charge HR is available in a range of colours – plum, blue and tangerine; needless to say that none of these variations are available as yet. The screen also matches the colour of the band too, so it doesn’t stick out like a sore thumb. That screen happens to be a monochrome OLED display, and it’s really vibrant and easy to read, despite being roughly the size of a fingernail. It shows the time, daily steps total, distance travelled, calories, flights climbed and of course your heart rate and you cycle through those metrics using the button to the left. The clasp is a normal watch affair, with a small buckle that everyone’s familiar with, attached to a rubber strap. Now, users initially complained of skin irritation issues, which we reported last year. 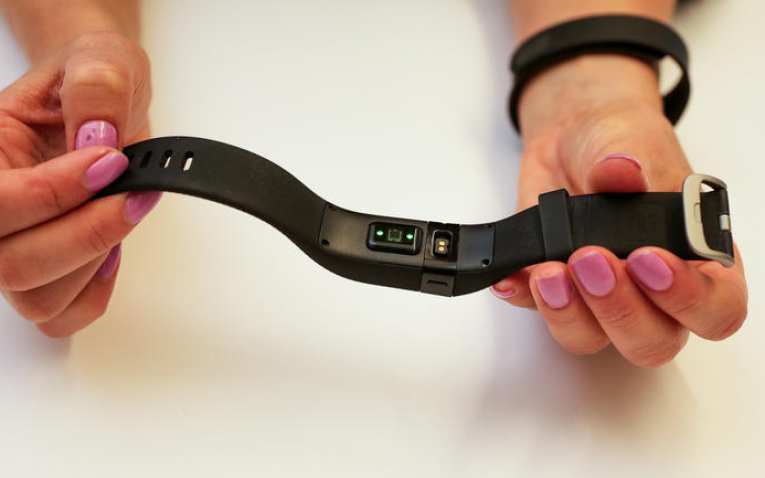 Fitbit’s response was to urge users to take breaks from their band and to keep it clean. Well, I followed that advice and still suffered some irritation after bouts of exercise. It’s not an problem isolated to Fitbit, but this is probably as bad as I’ve experienced. That said, editor-in-chief Paul suffered no irritation at all, so we’d recommend anyone with even remotely sensitive skin to think carefully before they buy. Other than the mild scabbing, the Fitbit was actually comfortable to wear. It doesn’t feel like a set of medieval leg irons, like the Microsoft Band, and it was comfortable enough to sleep with. 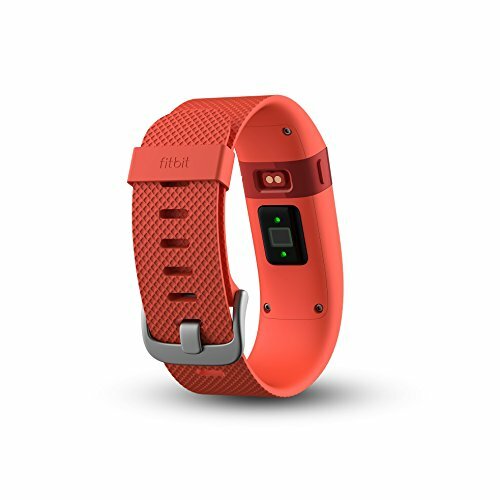 Advanced tracking is the name of the game, and the Fitbit Charge HR records all the usual statistics, each on enriched by heart rate data. 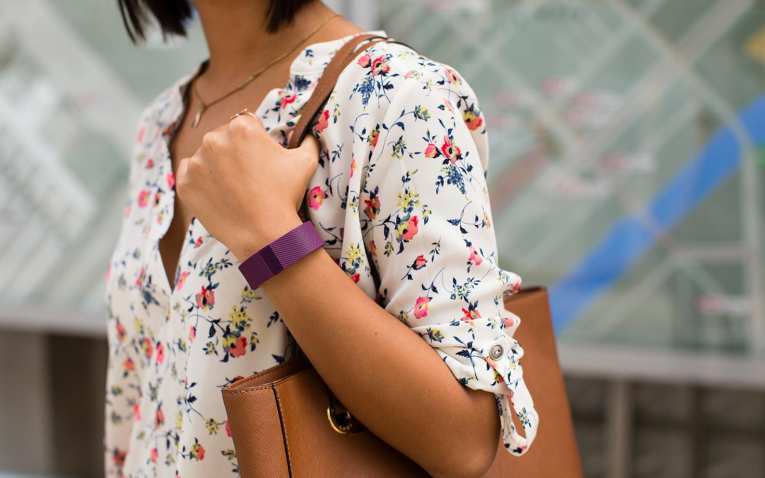 It will track your daily steps and calories by day, and monitor your sleep by night. Unlike older Fitbit devices, you don’t have to tell it you’re planning on snoozing, and sleep mode will kick in from your movements and heart rate data. 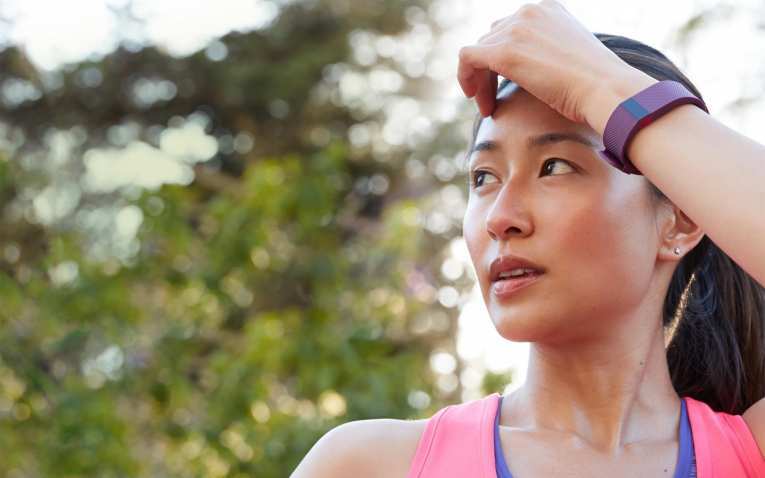 The Fitbit Charge HR also enables you to track exercise, and by holding the button on the left, you can put the band into ‘stopwatch mode,’ which means it starts tracking your training sessions – but more on that later. The final feature is caller ID, a sort of smartwatch-lite feature. 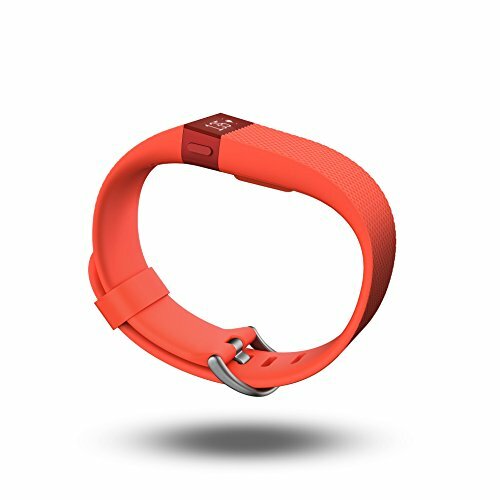 The band buzzes when someone calls your smartphone, and the name of the caller appears on the screen. There are no other notification features, and while it’s useful to check whether a call is important before reaching for your handset, it’s not exactly a game changer. 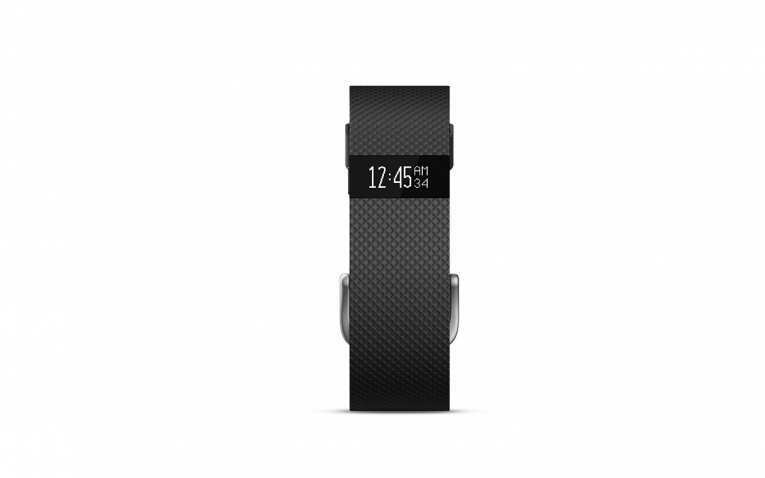 The Fitbit Charge HR is 1ATM water-resistant, which is fine for the shower but don’t wear it in the bath or a pool. That of course precludes swimming, so fans of the pool should look to devices like the Misfit Shine. 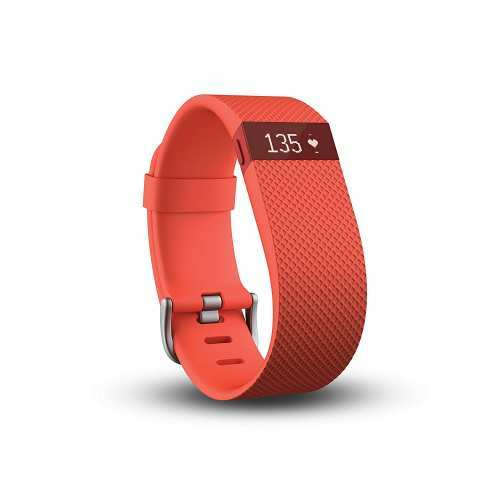 Like every fitness tracker out there, the Fitbit Charge HR mainly keeps tabs on steps and calories. We did find the number of steps to be slightly high in some early days of testing, but the rest of our week looked extremely normal, and in line with other devices. There’s no GPS built into the Fitbit Charge HR, which puts it behind the likes of dedicated running watches and it’s big brother, the Fitbit Surge. 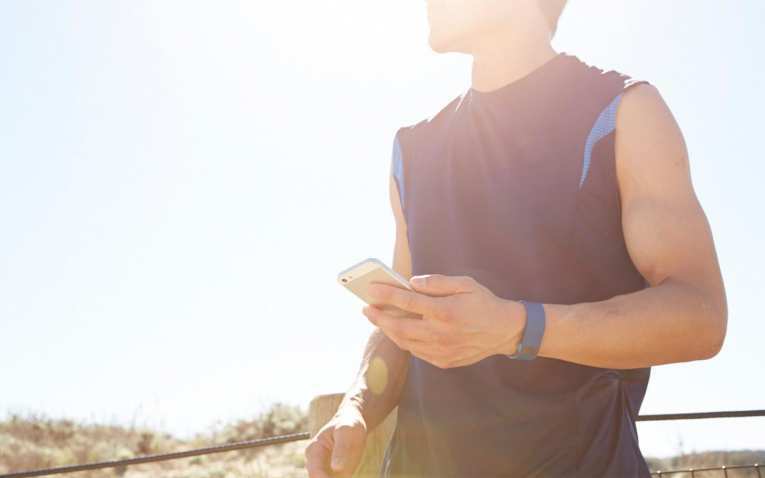 Without GPS, the tracking of running and cycling is never going to be accurate in terms of distance or pace – but unlike other non-GPS trackers, such as the Withings Activité or Garmin Vivosmart, the Fitbit doesn’t even attempt to guestimate distances. We went for a run with the Fitbit Charge HR using the stopwatch mode, and tagged it as a run on our return. The feedback showed heart rate information, calories burned and time taken, but no had details on pace or distance. Casual runners who are looking to lose weight might find the lack of pace and distance a plus, as they can just get down the business of shredding calories, but dedicated runners will certainly feel shortchanged. The benefit of the Charge HR however, is for other activites. While many GPS devices are so focused on running and cycling that they ignore gym work, the Charge HR embraces it, and enables you to get accurate details of your workouts via the optical heart rate monitor, that uses a bright LED to ‘see’ the blood pulsing through your wrist. We tested the heart rate information in the gym, while strapped into some of the machines, and found the Fitbit Charge HR to be generally spot-on, which is impressive. When you start exercising, you hold the side button to start the stopwatch. Then you get on with your exercise, before repeating the button hold to stop the tracking when you’re done. Next, you go to the app and tag the exercise. We tried a spinning class, and sure enough, spin was in the extensive list of taggable activities. The same goes for weights, football, hockey, dancing – the lot. Of course, telling the Fitbit Charge HR that last hour was a spin class doesn’t change the details. Any exericise is simply a calculation of the time taken and your heart rate to work out your calorific burn. Your heart rate dictates how many calories you burned, not the activity, so the tagging just ensures the period is properly named. Unfortunately, the app doesn’t add up all those spin classes or football matches to show any improvement as you get fitter – which is the great problem with fitness wearables; lots of data, not a lot of insight. As we mentioned, sleep tracking is now performed automatically on the Fitbit Charge HR, which means no more missed nights of sleep. It’s relatively simplistic tracking, bordering on the pointless. The graph shows a blue block, which is your sleep duration. The total time is listed in the app, along with the day’s stats. The block isn’t coloured to designate deep or light sleep as with other sleep trackers, but there are lines that mark when you toss or turn. 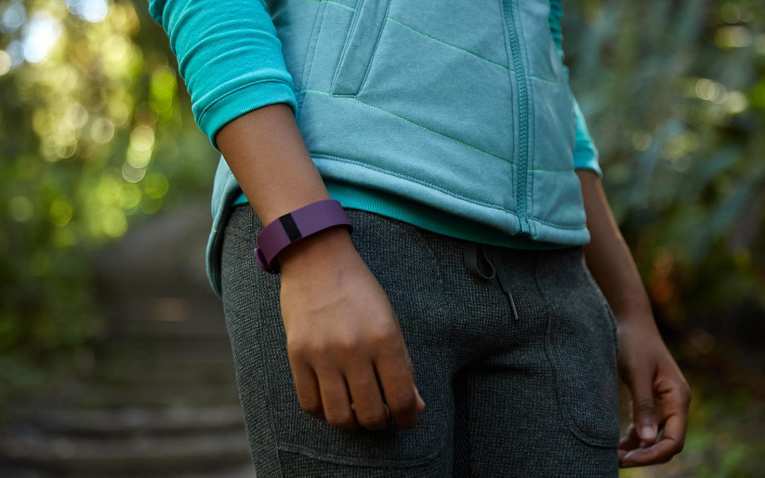 It’s a remarkably simplistic sleep tracking feature that’s surprising for a leader like Fitbit, yet as we’ve repeatedly said, sleep tracking is one of the least useful elements of fitness trackers. There’s very little to learn about your sleep patterns, short of making sure you get your eight hours every day – which the Fitbit is more than capable of. If you’re keen to see detailed sleep patterns, the Withings Activité Pop or Misfit Shine will do a better job. While not as in depth as the Withings Health Mate app, or as open as the Jawbone one, the Fitbit Charge HR’s app is clean, simple and easy to use. It’s quick to sync, with no frustrating pairing problems. When you open the app, you’re presented with all your data from the day, including steps, heart rate data, distance travelled, calories burned, stairs climbed, amount of ‘active minutes’, bursts of stopwatch captured activity and sleep. There are plenty of metrics to sink your teeth into, and that’s without the additional food tracking, food plans and weight tracking which requires manual daily inputs – a step too far for us. Any metric can be tapped to show historical data, and weekly totals. That’s especially useful for ‘active minutes’ which is the amount of time spent in the day with your heart rate elevated. Upping this total means you’re getting fitter. Delving into the app further will reveal plenty of controls, where you can fine tune the device to your dominant or non-dominant wrist, and turn on the caller ID notifications. You can also challenge yourself to beat certain step goals in the challenges tabs, and even invite friends to participate, too. It’s a good idea, although we were disappointed by the selection of goals. Each of the four challenges simply involves walking more, not burning more calories or racking up more active minutes of exercise. Those seem far more meaningful, and thus far, don’t exist within the Fitbit app. Given the continuous heart rate monitor flashing away under the device, battery life is impressive. You should be able to get five days easily from the device, and we found it easy to keep topped up. Of course, after recently testing the Withings Activité and Misfit Flash – both of which boast battery life in the months rather than days – charging is a bit of a hassle. 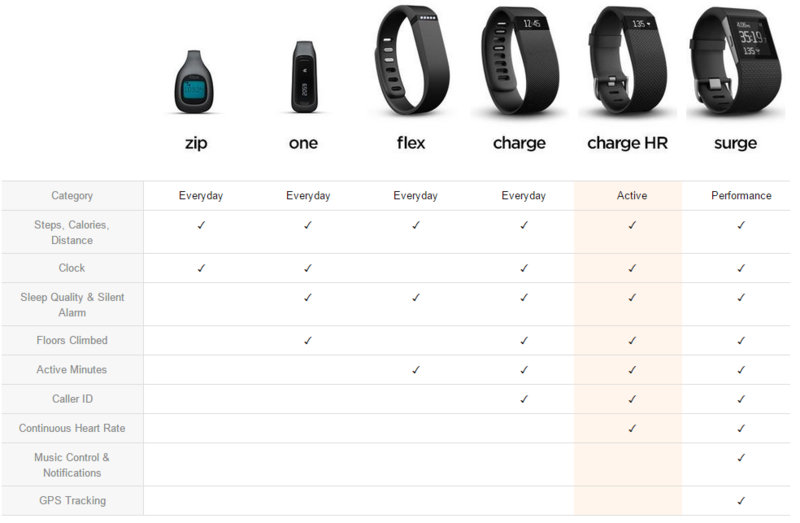 But neither of those devices can touch the Charge HR for its workout tracking. There’s a proprietary cable that magnetically hooks into the back of the device. Of course, if you lose that cable, you’re stuffed, but we’re sick of complaining about this seemingly ubiquitous wearables issue, and it’s not an issue confined to the Charge HR. 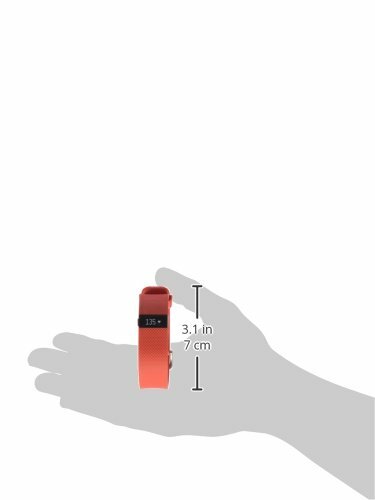 The Fitbit Charge HR is a complex device, which will appeal to a surprisingly narrow group of people. If you’re a runner, cyclist or swimmer the lack of GPS is a guaranteed dealbreaker. If you’re a general user looking for insights into your daily steps, buy a Misfit Flash for half the price. 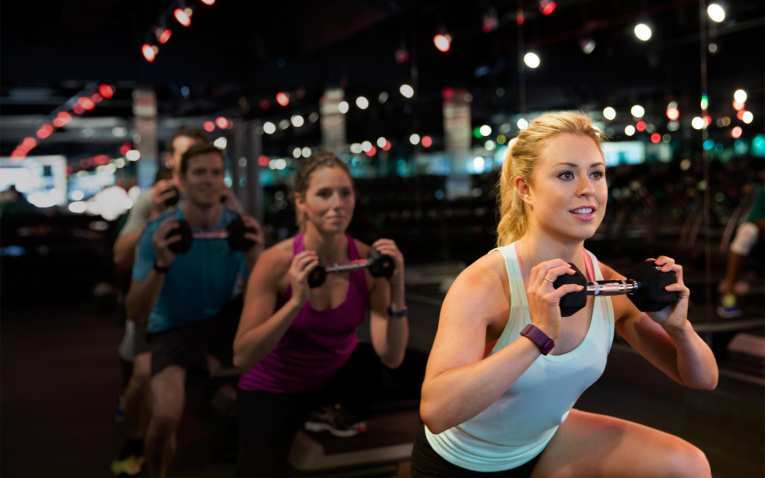 However, for regular gym goers or casual exercisers who want to accurately log a range of fitness activities, classes and workouts, the Charge HR is one of the best in the business. I like this fitbit charge hr much . I think i will purchase it. Thank 4 share ! publish upper! Come on over and seek advice from my website .